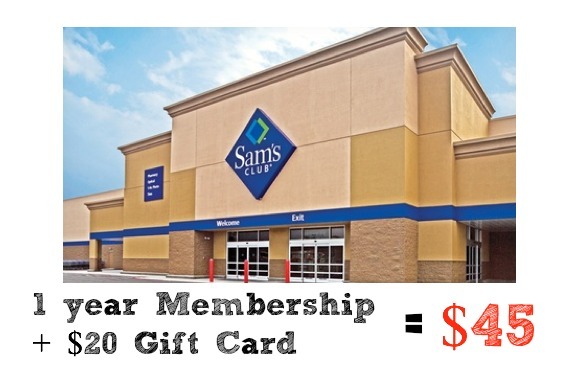 Heads up guys, right now you can get the best price we’ve seen in ages on a Sam’s Club Membership!! Head over to Groupon and get a one year Sam’s Club Membership for $45, plus you’ll get a $20 Sam’s Club gift card and coupons for free food! That’s pretty much an entire meal for a large family! Between the free food and the gift card it makes the membership really only have a cost of around $10!! This deal is for any store in the US, so it doesn’t matter what Groupon city you buy it under. I am told that this is a limited quantity deal (meaning it will sell out). Don’t forget that you can share a Sam’s Club membership with another person… so grab a friend and split this to make an even better deal!